The head of the powerful movement also accused Saudi Arabia of detaining the Lebanese PM. The head of the powerful Lebanese movement also accused Saudi Arabia of detaining the Lebanese Prime Minister. Also in the programme: Colombia’s president wins environmental prize; and reports that a former Trump aide is under investigation for plotting to seize the Turkish cleric Fethullah Gülen from his home in the US and hand him to the Turkish authorities. 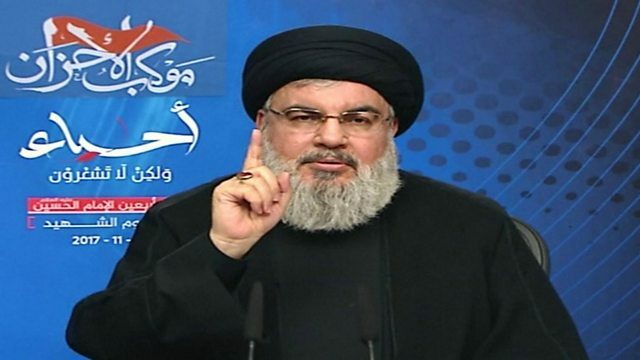 Picture: Hassan Nasrallah. Credit: Getty Images.